U.S. residents rank among the world's top in broadband use per month, meaning the broadband picture in the country isn't as bad as some critics might make it, a telecom trade group said Wednesday. Much of the recent debate about broadband in the U.S. has focused on subscriber numbers and speed, but use should be part of the equation, said Jonathan Banks, USTelecom's senior vice president of law and policy. "There's this argument about whether the broadband networks in the U.S. are good enough," he said. "A lot of people compare network capacity to Europe or Japan. You may have a lot of capacity, but if people don't use it, what does it mean?" USTelecom looked at the broadband use of seven nations in North America, Europe and Asia, and found average U.S. consumers transfer about 14.2 gigabytes worth of Web content to their Internet devices a month. South Koreans were by far the greatest users of bandwidth per month, at 24.5GBs, followed by France, at 14.3GBs, and the U.S.
Germans averaged 12.9GBs per month, Brits averaged 11.9GBs, and the Japanese averaged just 9.9GBs, according to USTelecom. The average broadband connection worldwide generates 11.4GBs of Internet traffic per month, or 375 megabytes per day, according to the Cisco Visual Networking Index, upon which the USTelecom study is based. The average broadband user, then, generates traffic about equal to downloading 3,000 text e-mails per day or 100 MP3 music files per day, Cisco said. While Japan has high-speed fiber networks across much of the nation, U.S. broadband networks support more use, Banks said. USTelecom sent its study to the U.S. Federal Communications Commission, which is in the midst of creating a national broadband plan. "We'd love to have fiber to the home here, but in some countries there's more government subsidy," Banks said. "Some of the telecom companies can really build out a network without worrying about whether they can finance it or whether it is going to get used. What this says is we're tailoring our networks to what consumers really do with it, and people here really use it a lot, so our networks are good enough to support more usage." The FCC and other policymakers can look to the study to see if U.S. broadband providers are giving consumers what they need, Banks said. "It's nice if you can build a network for 20 years out, and somehow, the government will finance it, but here we're trying to build for the next few years and make sure we have something that matches up with what people want," he added. Art Brodsky, communications director for digital rights group Public Knowledge, called the USTelecom study "moderately amusing." The broadband use statistics don't say anything about prices or speed, when studies have suggested U.S. broadband customers pay significantly more per megabit of service than many other countries, Brodsky said. "People [in the U.S.] are paying through the nose for slower and more expensive connections than anywhere else in the civilized world, so I'm glad people are using it," Brodsky said. In a May 2008 study, the Information Technology and Innovation Foundation found that U.S. broadband customers paid US$2.83 for each megabit of service they purchased. Prices have changed since then, but at the time, the U.S. had the 12th highest price per megabit of the 30 member nations of the Organisation for Economic Cooperation and Development (OECD). 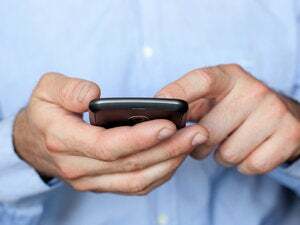 At the time, Japanese customers paid $0.13, and customers in South Korea, Finland, France and Sweden all paid less than $0.43 per megabit per second on a monthly basis, the report said. Brodsky said he hopes the USTelecom study won't inspire more broadband providers to institute monthly broadband caps. A handful of providers have experimented with monthly broadband caps, with Time Warner introducing a tiered pricing option with a cap starting at 5 GB a month. "All that [the study] shows is the people who have it are using it," Brodsky added. "It doesn't show how much more they could use it if there was more competition, or if there were greater speeds or greater deployment. I'm not sure what these guys are trying to prove here."